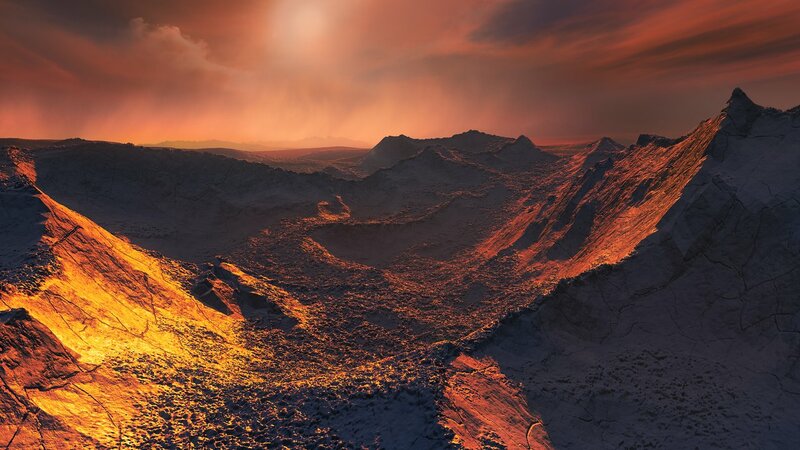 After archival data indicated the possible presence of a planet around nearby Barnard’s Star, a team of scientists undertook an epic campaign to try to confirm its presence. The result, published this week and described in an ESO press release, was the discovery of evidence for the second-closest exoplanet to Earth. In this blog post, lead scientist Ignasi Ribas helps us investigate the discovery further and look at the incredible story behind it. Related ESO press release can be found here. See https://sciencesprings.wordpress.com/2018/11/14/from-european-southern-observatory-super-earth-orbiting-barnards-star/ for a full accounting of the instrumentation used in this project and also the science team. Q. Could you start by telling us what you found and why it’s exciting? A. We have combined 20 years of observations to discover a candidate planet around Barnard’s Star, one of the nearest stars to the Sun. Barnard’s Star has been famous for a long time, not only because of its proximity and because it is the fastest moving star in the night sky, but also because back in the 1960s scientists thought that they found an exoplanet system orbiting it. Those planets were later disproved, but now we believe that we really have found one! We are 99% sure that this planet exists. It is a cold super-Earth at least 3.2 times the mass of the Earth, orbiting 60% closer to its parent star than Earth does to the Sun. Even so, Barnard’s Star is so small and cool that it provides this planet with just 2% of the energy that the Earth receives from the Sun, and therefore this planet is a very cold world. Q. Why do you think it’s important to search for planets around other stars? A. Personally I am involved in this area of research because I want to understand our place in the Universe. I think part of understanding our situation is to find out about nearby planets, to discover their properties and figure out how they formed. This will help us discover whether Earth is unique or whether life could be commonplace in the Universe. Much of the Universe is still a complete mystery; at the moment we are exploring it long-distance, from Earth, but perhaps someday in the distant future we will really be able to visit these planets, so we need to find out more about them first. Q. So tell us how you went about finding this planet. A. We used a technique called the radial velocity, or Doppler, method. When a planet orbits a star, its gravity pulls the star forwards and backwards just a tiny amount, changing its velocity slightly and making the star wobble. When a star comes towards us, its light becomes “squashed” and the wavelength we see is more blue, and when the star moves away, its light reddens, in what is known as the Doppler effect. This method allows us to find out the minimum mass of the planet, but we must use complementary techniques to determine a planet’s true mass. We went through huge amounts of data dating back to the 90s to look for a pattern in this star’s motions and saw that it was moving forwards and backwards with a regular rhythm. The wavelength, and therefore the star’s velocity, varies with a period of roughly 233 days, implying that a planet orbits once every 233 days. Determining how much the wavelength changes over this time allowed us to figure out how fast the star moves towards and away from us. The mass of the planet is related to the change in velocity, so we were able to calculate the minimum mass of the planet to be about three times the mass of Earth. This animation shows how astronomers watch for changes in the wavelength of light from a star to search for exoplanets. Q. Planets have been discovered around stars thousands of light-years away. Barnard’s Star is just six light-years away, so why was this planet not found before? A. There have actually been many previous searches for planets around Barnard’s Star, and even announcements of discoveries, but not one has ever been confirmed. The thing is that the candidate planet we found is so small and so far from its host star that its effect on the star is really, really tiny. The planet only changed the star’s speed by 4.3 km/h in each direction and with a long period of 233 days, making it extremely difficult to detect. Finding the planet was only possible by collecting an enormous number of velocity measurements. In total, we combined nearly 800 measurements from seven different facilities. 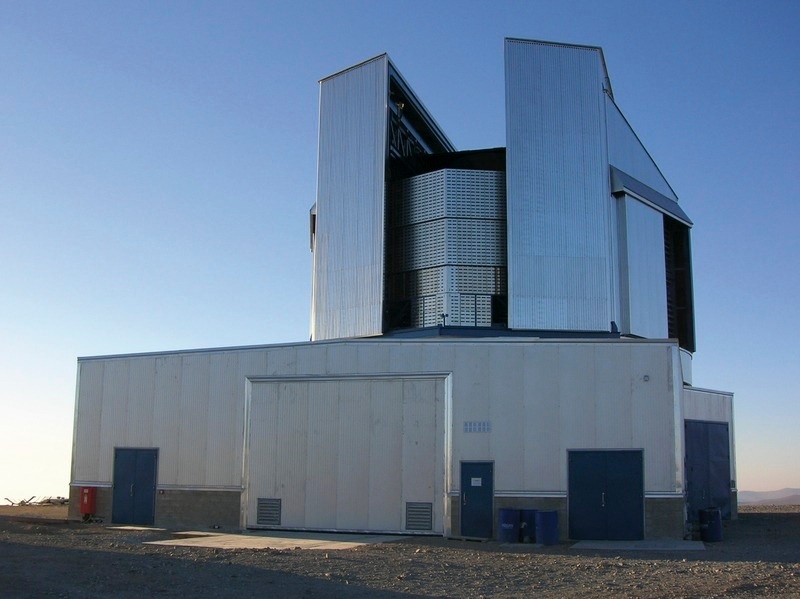 In particular, between 2016 and 2017 we used the High Accuracy Radial velocity Planet Searcher (HARPS) on the ESO 3.6-metre telescope to observe Barnard’s Star on every possible night that we could, to gather as much information as possible on how its velocity changes over time. It is thanks to HARPS and the CARMENES instrument at Calar Alto Observatory that we can be sufficiently confident that this planet exists. Q. You say that you are 99% sure that this is a planet. Where does the uncertainty come from? And how certain do you have to be before you are convinced this is a planet? A. We would like to be 99.9% certain that this is a planet before we stop observing it. We already feel very sure — it passes all the tests that a planet should pass, but we will continue to make more observations to become more certain. The uncertainty comes from the intrinsic error in each radial velocity measurement. In this case, the typical uncertainty of our data is 3.6 km/h, meaning that each velocity measurement we obtain could actually be anywhere within an interval of 3.6 km/h around the value we observe. This is large compared to the velocity values of 4.3 km/h that we are dealing with, so we needed hundreds of measurements to beat down the errors. Furthermore, such precision requires instruments to be extremely stable over timescales of decades so that we can trust that all radial velocities are free from systematic effects. Heat and cold, for example, can affect how instruments operate, so engineers try to keep the instruments at a constant temperature and we are sure to correct for any change. We are convinced that instrument effects cannot be responsible for the 4.3 km/h signal we observed because we see the same value in datasets from different instruments. Q. If it isn’t a planet, what else could it be? A. There is a small chance that the signal is produced naturally by the star. We found that Barnard’s Star spins very slowly, with a rotation period of about 140 days. As the star rotates, the starspots on its surface rotate with it, appearing and disappearing in a way that could give rise to a signal similar to the one we observed. We calculated the possibility of this to be 0.8% — small, but not zero. More observations will help us decrease this small chance even further and nail the case for the planetary nature of the radial velocity modulations that we are seeing. Q. Will you try to confirm that this is a planet in the future? How will you do this? A. Absolutely! It’s proximity makes this planet a prime target for exoplanet research. For now, we will continue to collect more radial velocity data to push down the uncertainty even further. Then we would like to observe the planet using different techniques, for example, we could use the Hubble Space Telescope or ESA’s Gaia mission to look for the change in the position of the star in the sky as the planet’s gravity pulls the star around as it orbits. Using a space telescope to do this would tell us more about the properties of this planet. This planet is one billion times fainter than its parent star, so it would be extremely difficult to take a direct image of it — we could not dream of doing this with the telescopes that exist today. But now we know where to look for it, we would like to use the amazing imaging capabilities of ESO’s future Extremely Large Telescope to image it. This would reveal a huge amount of information about the planet, for example about its orbit, radius, mass and temperature. Q. Earlier you mentioned that scientists thought they found a planet around Barnard’s Star back in the 1960s. Did you see any sign of this “planet” whilst you were carrying out this research? A. We did find something! Our analysis revealed that the velocity of Barnard’s Star varies not only with the 233-day period of the planet discovered by us, but also with an intriguing long-term period of 15–20 years. This period is similar to that of the planets proposed in the 1960s but the radial velocity variations are much smaller than would be expected. If the variations were caused by a second planet, it would be very distant from its parent star and with a mass similar to Neptune. But we actually think it’s more likely that the long-term variation is caused by changes in the magnetic activity of the star. Just like the Sun — which has a sunspot cycle of about 11 years — Barnard’s Star gets more and less active over time. Very precise position measurements using the Hubble Space Telescope or Gaia could be used to further investigate the possibility of an outer planet orbiting Barnard’s star.